Shower Beers are amazing. One problem: Where do you put your beer? 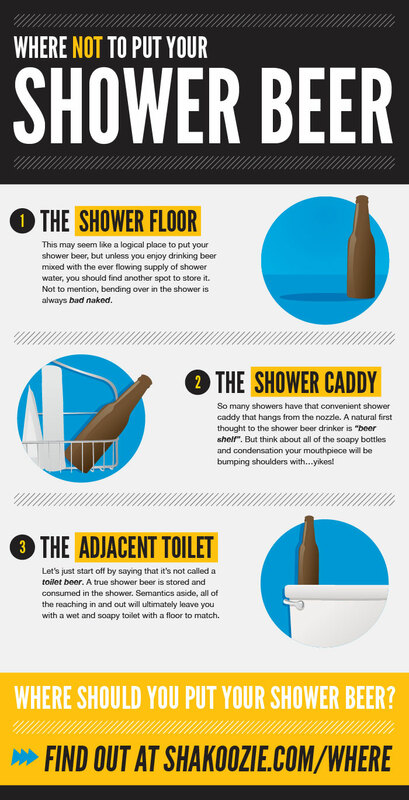 Here are 3 places NOT to store your shower beer.